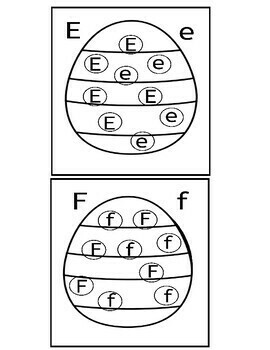 Do-A-Dot letters A – L are provided in both upper case and lower case. 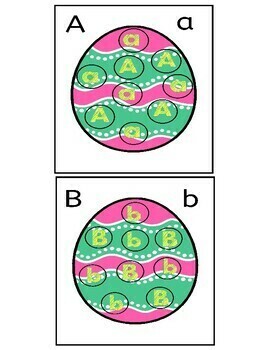 Give the children two different colors of daubers or dot markers. 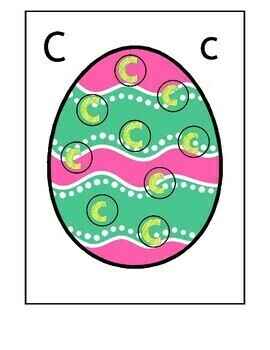 Let the children dot the lower case letters with one color and the upper case letters with another color. 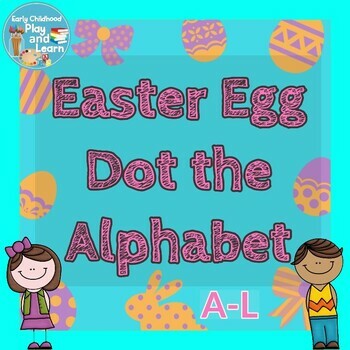 These Easter egg do-a-dot activities will provide your students with opportunity for fine motor skill practice. These are great hands-on activities to help students learn the alphabet; they provide for repetition while also being engaging.